With Valentine's Day just around the corner, love is in the air -- and pups can sniff it too! That's why I've partnered with Big Heart Pet Brands (makers of Bandit's favorite dog foods, including Milk-Bone, Pup-Peroni, Canine Carry Outs and Milo's Kitchen) to invite you to the first-ever #DoggyDateNight Twitter Party! 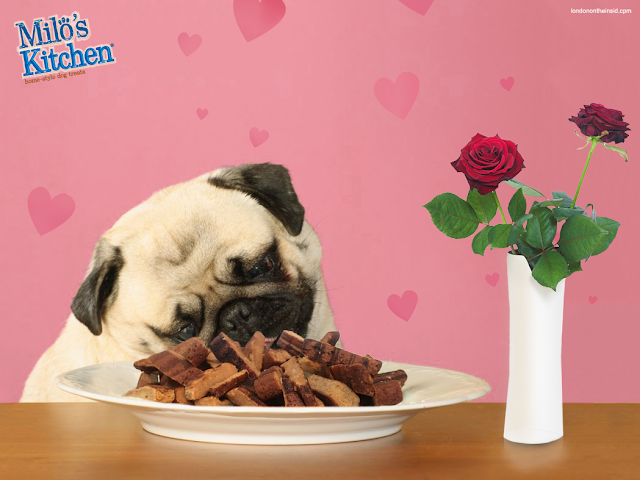 With Valentine's Day coming up, this #DoggyDateNight couldn't have come at a better time. I'm excited to do something special for Bandit. Though I'm fairly certain his idea of a dream date is feasting on some Milo's Kitchen Steak Grillers. They are his favorite! I can't wait to see you all at #DoggyDateNight on Wednesday, Feb. 3, from 8-10 pm ET (5-7 pm PT). This is a sponsored post. I do these posts because it gives me a great opportunity to support local shelters with donations of dog treats from Big Heart Pet Brands. The above is provided content - but the video is completely my own!!! I don't do it as often as I'd really like but I do enjoy getting out into nature with my kids. We tend tos tick to local nature preserves simply for the sake of convenience. I'm very excited about this new project underway at Conner Prairie and can't wait to visit this summer and fall! FISHERS, Ind. (Thursday, Jan. 28, 2016/Conner Prairie) – A four-story treehouse offering panoramic views will be the centerpiece of a new 10,000-square-foot outdoor experience set to open July 1 at Conner Prairie. Construction on Treetop Outpost started in late October and continues today in the southwest corner of the museum’s grounds close to the White River. Several diverse activity areas will surround the treehouse in which guests can engage with natural materials, experience archaeology, build, create unique nature-based artwork, explore music with instruments and more. Also, a connecting nature walk will lead visitors through woods and along the river to the prairie. Visitors will enter the treehouse by spanning a suspension bridge or walking up an elevated walkway. The $750,000 exhibit being built by general contractor Hagerman Group was announced at Conner Prairie’s 2016 Annual Meeting Wednesday, during which a nationally renowned dinosaur paleontologist and popular children’s show host told an audience of nearly 300 guests that now, more than any other time in history, we have to get youth connected with nature. “The indoor migration that has occurred in just a single generation has contributed to a growing rate of obesity, attention deficit syndrome, diabetes, myopia and other diseases among children,” said Dr. Scott Sampson, host of the popular PBS KIDS series “Dinosaur Train.” “A screen looks the same in Indianapolis as it does in Miami, Tulsa or anywhere. Sampson, who is an executive at the Denver Museum of Nature and Science and recently authored “How to Raise a Wild Child,” said adults need to instill and encourage three basic behaviors in youth to connect them with nature for a lifetime. BACON!!! Do I have your attention?? Vegetarians and vegans - just look away now. Seriously. The picture alone makes me drool. I'm fairly old fashioned when it comes to bacon. I like it cooked on a griddle or in my cast iron. And I like it crispy. In our house, the 4 of us could easily eat 1 lb of bacon in one breakfast meal. But I'm also really intrigued by what bacon brings to other dishes. Maple donuts with bacon sprinkled on top, for example. And then there are those chefs and food experts who know how to really utilize bacon in delicious and scrumptious ways. And how best to celebrate such talents and such a delicious food? 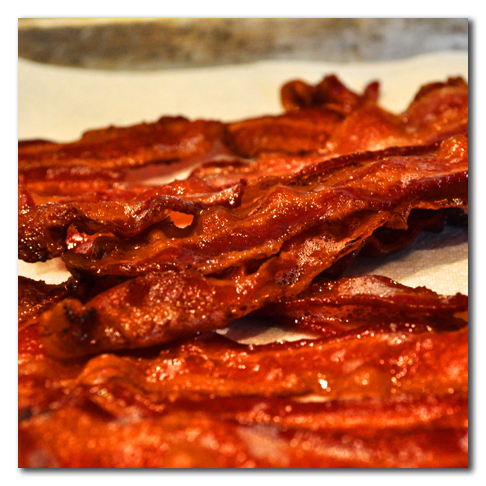 This Saturday (Jan 30) is Indy's 2nd annual BaconFest. It's presented by iHeartMedia (local radio stations WOLT ALT 103-3, WFBQ Q-95, Big 98.3, and Fox Sports 975 AM and is sponsored by (of course) Indiana Pork. The event is at the Crane Bay Event Center (551 W. Merrill St, Indy) this Saturday, Jan 30, from noon until 3. But that General Admission slot is sold out! VIP tickets allow early entry at 11:00. Join us to sample bacon inspired dishes from some of the best restaurants in Indy! Hang out with the crew and enjoy delicious food! 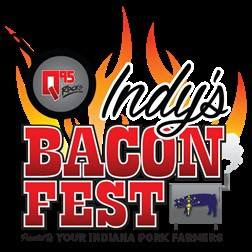 It's Indy's Bacon Fest 2016, cured by Indiana Pork - your Indiana Pork Farmers. Ticket includes four (4) free food samples from vendors and one (1) free drink ticket. Additional food and drink tickets will be available for purchase on-site on the day of the event. That list of restaurants alone makes me start to drool. There are some very talented and tasty food stops on that list. I'm eager to see what they have to offer!! I'll be sharing pics and such on Saturday via Instagram and Twitter. Follow along, wipe your drool, and plan on buying those tickets early next year! It's no secret that I like food. I get really excited about food. Food is about more than just nutrition for me. I'm fully on board with food, love, passion all going together, being connected. When I learned that there was going to be a celebration of food right here in Indy, I got a little excited. Cooking classes, local speakers, national speakers and chefs, local food artisans all gathering together to celebrate food. They are offering cooking classes for kids, sushi making classes, cultural cuisine classes like Italian and Japanese. Cooking classes cost $25 per person in addition to your general admission ticket. There are demos by local and national chefs and personalities like Ted Allen (host of Food Network's "Chopped"), Hugh Acheson (Top Chef), local mom and food expert Heather Tallman, local kid chef Sabrina Richard (she competed on Rachel Ray's Kids Cook Off), and local chocolatier and entrepeneur Julie Bolejack of Chocolate for the Spirit. Exhibitors include everything from wine to marshmallows to caterers to farms. There's a "Grand Tasting Pavilion" where you can buy tickets to taste incredible food from local Indy chefs and food experts. General admission is $15 for a 1 day tickets. A 2 day ticket is $25. And a 2 day VIP ticket is $55. VIP tickets offer access to a VIP lounge - comfortable seating, live jazz band, signature cocktail bar (and 1 complimentary cocktail), complimentary access to the Coffee/Cappuccino/Espresso Bar, reserved seating at presentations by celebrity chefs, complimentary coat and package check, and VIP seating at all seminars. Kids under 12 are FREE with a paid adult ticket! If you want to know more about all of the Fantastic Food offerings around Indy, this is your event. Come and experience farms, restaurants, food vendors, and more! If you love food and you especially love local food experiences, this is your event! I've been on an interesting faith journey in this past year. 2015 was a year of big change as we left our church of 11 years. And it wasn't an easy change. It was one of those heartbreaking break ups filled with angst and hurt. Like divorce. Through it, one of my greatest struggles was that I stopped clearly hearing God. I'd reached a point in my relationship that I truly felt nudges that I knew were God giving me things to do, to say. Sometimes, I "heard" the voice. Sometimes, I just felt a knowing. But there was strong connection. And then came all the circumstances that led to us leaving our church home. Leaving the nest. And as I struggled through those circumstances, God fell silent. The knowing I had come to rely on wasn't there to give me instructions anymore. I was blindly following and it was pretty terrifying. I'm starting to stick my toes back into the light again. We have found a new church and it offers each of us individually things that we didn't realize we were missing. It isn't the same. And it will take time to really recover from that "divorce." But Jeff and I both feel like we, as a family, are where God intends us to be. The other interesting aspect of this year of great change and the changing of the year from 2015 to 2016 is that I found myself not really wanting to review 2015 and not really wanting to set goals or resolutions or even a focus word for 2016. But there has been a little whisper. It's a whisper I haven't heard in a long time. In fact, it was about 1 year ago that I attended a women's retreat and had prayer focused on just listening and my heart broke because I only heard silence. It was about 1 year ago that I laid in bed and wept as I prayed and begged for guidance, begged to have affirmation that I was doing what God wanted of me. And I only received silence. It's been a year of learning to sit in that silence. I can't say that I love it. But I have learned a lot in it. And just today, I heard a small and familiar whisper. Up until this past year, I'd always known with certainty that my purpose was to Love Others. To love them in radical ways, in reaching out ways, in Christ like ways. To love people close to me and to love strangers. I listened and I obeyed and I shared God's love over and over and over and I felt very fulfilled in my faith. Not in an egotistical way. More like - peace in knowing my purpose. But it was only my purpose for that season. Or it was only part of my purpose. As we enter into relationship with this new tribe in our new church, we have each been a little tentative to receive the acceptance and love that others are offering to us. I see Teagan trying to shield herself from potential wounds. I know that I am staying behind a partial wall. There are wounds that we are still tending but are also protecting. And in my prayers this morning, I heard it. And I have tears in my eyes now as I think about the moment. When I briefly heard a nudge, a knowing. I have to admit that I'm not very good at letting other people love on me. I always want to turn the tables and find a way to love you, instead. It's not a matter of not feeling worthy or feeling that I'm less than in any way. But it's really important to "allow" other people to fulfill their own call to love someone - to love me. It's really important to realize that I need to be loved. That I need to be drawn in and embraced. I'm fortunate that I have circles of people who do love me and that I accept that love. That was easy in our previous church family, as well. But that was part of why God was pushing me. When you get comfortable, you stop growing. It was easy for me to love others - in simple ways or in lavish ways. It was easy to be in the presence of people who knew me, accepted me, loved me. God's purpose is rarely easy. God's work is hard work. And there are mistakes and failures along the way. So in this season, I'm opening my focus on allowing myself to Be Loved. To observe others as they accept love. I'll continue to give love but I also know I'm in a season of rest. God has placed me where I need to be. In order to truly do whatever comes next on my path, I need to understand the acceptance of love offerings from other people. It's like suddenly becoming aware of the traffic driving on the other side of the median. It's always been there but I just haven't paid any attention. And if I don't stop and observe and accept, I might get run over. How do you allow others to love you? What are unexpected ways that you've been loved?